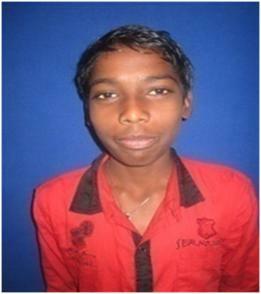 Shekhar (9th STD) is 16 yrs and for the last 6 yrs he is staying at the SASA orphan home. He has no parents, his mother and father passed away when he was 9 years of age. At the time his married sister protected him in her home, but for the long journey of his education her husband would not accepted him so his sister inducted him in SASA orphanage home. Though learning is a bit of a challenge, he wants to do something through his own efforts. He is interested in dance and music and wants to do his career in music.